Orange Amplification’s latest new products, the TremLord 30 and Pedal Baby 100 are receiving rave reviews worldwide and are already proving to be a hit with artists. The TremLord 30, Orange’s most vintage guitar amp ever, is a 30w 1×12 all valve guitar combo with built-in valve driven tremolo and reverb. 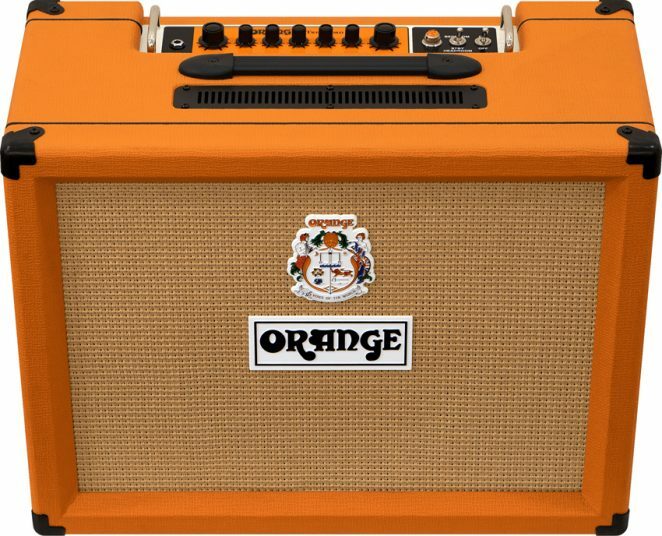 Talking about the fifties inspired amp, John Bohlinger, Premier Guitar, says “I really like its simplicity, tone and its ear candy tremolo… what else do you want?” In his review for the same magazine, Gear Editor, Charles Saufley described the TremLord as “putting a new spin on the signature Orange sound with brighter, more articulate tones, greater headroom, multi-speed trem and sopping wet reverb… in a unique and soulful way”. James Bagshaw (Temples) commented “When I think of Orange I think of gain. This amp has turned that on its head, it’s crystal clear” and Kelby Ray (Cadillac Three) said “I love that Orange build amps with so few knobs… the new TremLord creates awesome warm sounds with a nice rich overdrive… it sounds great”. The Pedal Baby 100 is a 100w solid state, Class A/B compact power amp designed for touring. Guitar.com gave it their Editor’s Choice Award and described it as “a compact, user-friendly slab of tonal reassurance for the pedal-happy guitarist… it handles everything with poise… and with trouser flapping volume!” Colin of CSGuitars describes the Pedal Baby as “the fly-in solution for touring musicians needing a lightweight, compact power amp that can drive a 16 Ohm cabinet with enough headroom to amplify their pedal board or effects processor for those upcoming summer festival dates”. Tim Bertsch (Jaded Mary & Soul Resonance) said “My Orange Pedal Baby is a mighty powerhouse capable of producing thundering, earth shaking volume all while maintaining pristine clarity from 1 to 10!… I can configure it in a myriad of ways to fit whichever sonic application I am looking for”.